When it comes to water, mold, or fire damage, response time is important. Integrity Restoration & Remodeling Contractors understands that. That is why it is our goal to be Kennesaw’s top water restoration company. We provide 24-hour water damage repair, and our emergency services extend to other types of damage as well. If your home has experienced an emergency, call on us. We respond quickly to make your home like new again. It’s your home, and you can’t trust the repairs to just anybody. That’s why we are certified and experienced in repairs, renovations, and insurance filing. Our experts value your home and your safety like we do our own. 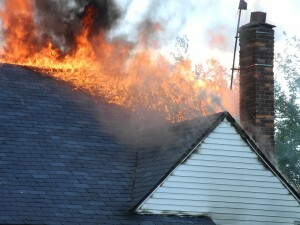 We are a premier choice for a restoration company because we understand what you are feeling when disaster hits. Since we are homeowners too and have also suffered home and property loss ourselves, we know what it’s like to experience traumas like mold and fire, hail, and water damage to your home. We put our understanding and years of experience to work for you. As a full service restoration company, Integrity Restoration & Remodeling Contractors LLC offers our vast experience and integrity to both homeowners and property owners alike. We have a diverse portfolio of both commercial and residential jobs. We take our experience and knowledge and put it to work in your home or managed building when water damage, mold growth, fire damage, or storm damage hits. You can rest assured that we are one of the best water damage restoration companies providing emergency services in Kennesaw. Another of the benefits of choosing us for mold inspection and flood damage restoration is that we take the stress out of filing your insurance claims. In addition to the way we understand what you’re going through, we are also happy to be the single point of contact for all of the restoration and insurance work. We can help you assess the situation and determine whether you should file a homeowner’s insurance claim. If so, we will also work with your insurance carrier to take care of relevant claims. We know that you want the restoration process to be as easy and timely as possible, and we are here to help. Contact us today to learn more.